JINJA – Uganda National Roads Authority (UNRA) has Wednesday, April 3 issued a travel advisory as it moves to repair the defected parts of the newly launched source of the Nile Bridge. 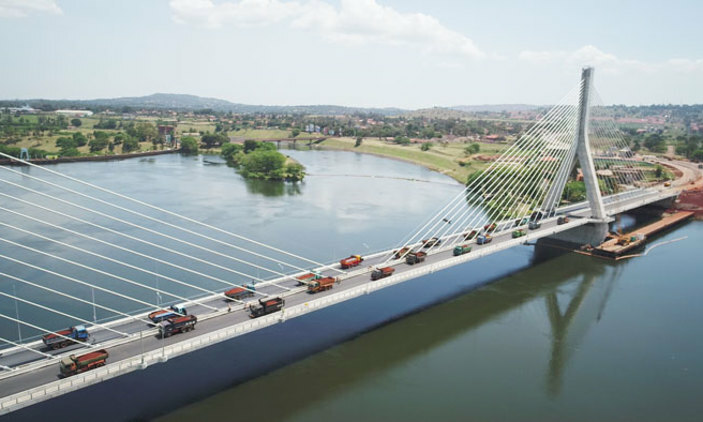 UNRA has also admitted that the cable bridge had developed cracks raising concerns of shoddy work on the multi-billion project that was commissioned in October 2018. The overall width of the Bridge is 22.9m wide. It has a dual carriageway 7.0m wide with a pedestrian walkway of 2.25m wide on both ends. 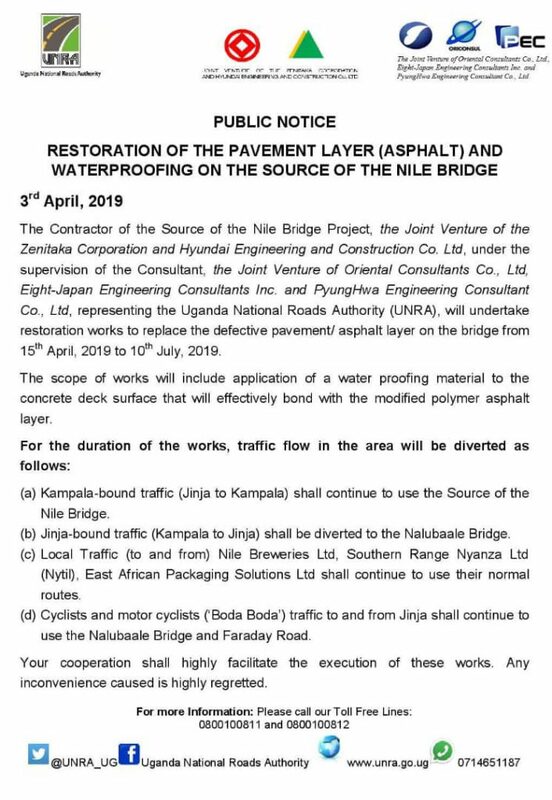 “The contractor of the source of the Nile Bridge, under the supervision of the consultant, the Joint Venture of Oriental Consultants Co. Ltd representing the Uganda National Roads authority [UNRA] will undertake restoration works to replace the defective pavement asphalt layer on the bridge to start on the 15th of April 2019 up to the 10th July 2019,” reads the public notice seen by this website. The construction process will involve the application of a waterproofing material to the concrete deck surface that will effectively bond with the modified polymer asphalt layer. The restoration is to be handled by the eight Japan Engineering Consultants Inc. and PyungHwa Engineering Consultant Co. Limited. The recently joined girders at the Jinja Nile Bridge. This is the second time for the bridge to be repaired. However, Allan Sempebwa, the media relations manager in the office of UNRA Executive Director, said the January claims were not true explaining that the layer they had put on the bridge was temporary and that they were removing it to put the main one. The Kampala bound traffic [Jinja to Kampala] shall continue to use the source of the Nile Bridge, Jinja bound traffic [Kampala to Jinja] shall be diverted to the Nalubaale Bridge. Local Traffic [to and from] Nile Breweries Ltd, Southern Range Nyaza limited [Nytl], East African Packaging Solutions Ltd shall continue to use their normal routes whereas cyclists and motorcyclists traffic to and from Jinja shall continue to use the Nalubaale Bridge and Farady Road.